Lager represents one of the most significant technological innovations in the modern era of brewing. Germanic tribes developed an ingenious system of storing grain for leaner times of spring and summer by brewing beer with leftover grain from a bountiful harvest. That beer would be then be stored cold in the ice caves high in the Bavarian Alps and allowed to "lagern" through the winter months. This innovation differed from the process of brewing "ales" dating back to early civilization whereby beer was fermented and stored at ambient temperature. The obvious advantage was the ability to store beer to provide sustenance ahead of new crops being harvested. Further advantages were discovered as less problems were present with fermentation as colder temperatures seemed to curb spoilage or infection in beer that was common when brewing in warmer months. Finally, the flavor was found to be improved as yeast and other particulate matter settled to the bottom of barrels during the long "lagern" period. The result was a beer clearer than the common ales of Europe, with appreciably cleaner taste and higher concentrations of carbon dioxide. The early German beers fermented and stored using the "lagern" method, while clearer than most ales of the day, were still dark and probably most closely related to what we call in modern day "Dunkel Lager." As Germans evolved the process of "lagering" additional innovations with malted barley allowed for malt color to lighten to "pale" in nature, giving way to a multitude of pale lagers. The 1800's and 1900's brought further innovations such a Louis Pastuer's discovery of yeast as the magical key to fermentation allowing specific yeast strains to be isolated and shipped throughout the world. This coincidied with a period of intense immagration to the United States from Europe, and brewers brought both recipes and ingredients with them a profilerated German-style beers across America. Refrigeration allowed brewers to consistently lager beer regardless of environment and the now famous city of Pilsen become known for a blonde lager known as "Pilsner." Today this top style of beer brewed throughout the world. Eric Marshall a fourth generation Tulsan with a degree in International Business and German language from the University of Tulsa. 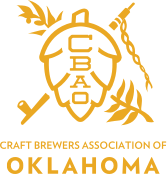 Eric left Tulsa in 2004 to study the art of brewing in Munich, Germany where he was awarded the prestigious International Diploma in Brewing Technology from the World Brewing Academy. He apprenticed in multiple breweries throughout Germany and served as a brewer at the Victory Brewing Company in Downingtown, Pennsylvania. In 2007, Eric returned to Tulsa to begin laying the groundwork for his own brewery. 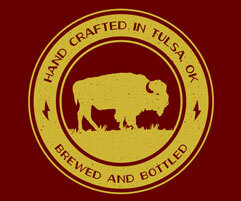 Marshall Brewing Company, Tulsa's first production craft microbrewery, which began operations in spring 2008. In September of 2008, Eric introduced the first two lagers to the Marshall Brewing lineup. Old Pavilion Pilsner was welcomed as a year round offering while Oktoberfest Lager became the first seasonal offering for Marshall. Old Pavilion Pilsner was inspired by the pilsners of Northern Germany known for their cloying hop finish. Oktoberfest Lager was a nod to the smooth drinking fest-bier with origins dating back to the original Oktoberfest celebrations in Munich, Germany. Oktoberfest Lager was an instant hit, becoming one of our best selling beers in spite of the short selling season, while Old Pavilion Pilsner developed into a cult classic and the most often draught shift beer among our brewers. For 2018, as Marshall Brewing Company celebrates a decade of business, we are focusing on lagers. For the last several years we have offered a traditional Munich-style Dunkel Lager available on draft at a limited number of locations only in Oklahoma. Hundreds of of fans consistency pressed us at beer festivals, our Taproom, and public encounters to offer the Dunkel Lager in package for purchase at retail. That time has come. As a late Valentine's Day gift to beer drinkers across our distribution area, Dunkel Lager will be offered in six packs. Further, Dunkel Lager will be availbale year round as the first new year round offering since This Machine IPA in 2012. The focus on lagers continues as Old Pavilion Pilsner gets a package makeover and a new name, Volks Pils. "Volks" (translating to "the people's") represents the idea that our pilsner is an approachable lager with wide appeal for all people. Look for the new Volks Pils packaging in liquor stores this spring. Finally, This Land Lager will move into distribution as a year round offering on draft starting now, and in yet to be announced packaging later in 2018. This Land Lager, a remarkable Helles, is a celebration of Brewmaster Eric Marshall's time in Germany and the passion he developed for perfectly executed lagers while studying and apprenticing. The resulting Helles lager connects the European tradition to Oklahoma history, celebrating Woody Guthrie and his lasting contribution to Americana and championing of the working class. This Land Lager offers all who drink beer an option of simplicity and precision. ABV: 4.8% In closing, we are excited to celebrate a decade of brewing and a significant part of the heritage of Marshall Brewing Company and our deep reverence to traditional German lagerbier. These styles lend themselves to fuss free enjoyment. While we remain passionate about American craft beer styles, and will no doubt to continue to innovate in that theather, we are proud to educate consumers, further craft beer culture, and produce smiling faces with lager. Prost! Wes Alexander Director of Sales & Marketing Marshall Brewing Co.